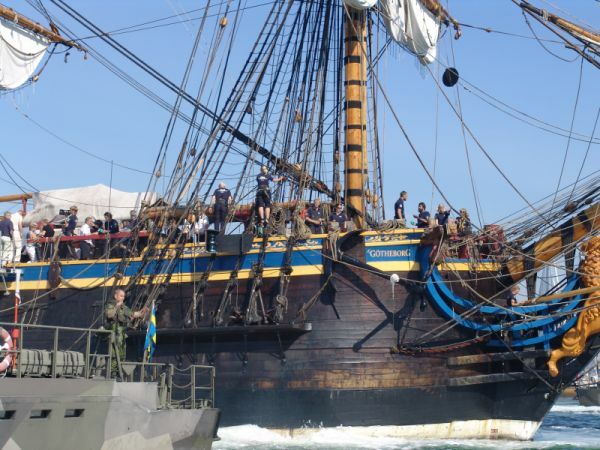 The Gotheborg III arrives back home June 9, 2007 after its epic journey to China and back. A few days ago a long time dream was fulfilled and I can't help making some space here to be able to share this with you. It's the closure of a long time project I have had the pleasure helping to start during the critical first 5 years 1993-1998, when this ship building project - on our own initiative - was brought from an idea of my friend Anders Wästfelt to a concept and a majestic hull, stretching its fingers towards the roof of our gigantic ships building hall on our own shipyard. 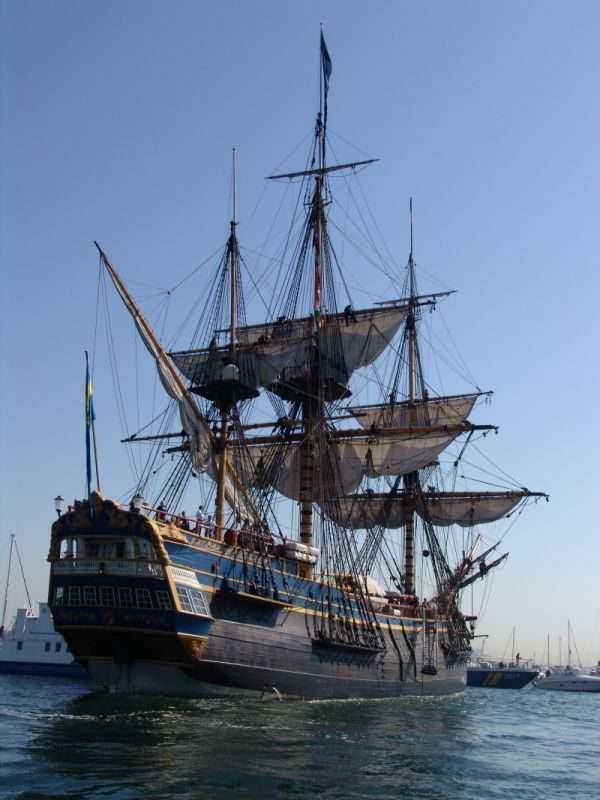 Now, after fourteen years she has completed her maiden voyage to China and back. 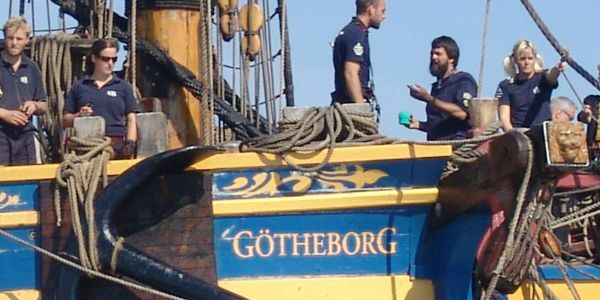 A few days ago she came back, and made her way safely all the way into the harbor of Gothenburg, something that did not work out that well the last time around in 1745, when she hit an underwater rock and sank. Pretty much on the same spot as where these pictures was taken. Thank you all who got to share our dream and made it all come true, more or less as we envisioned it. I lack words for my gratitude to you whose expertise got her built, rigged, outfitted and safely brought all the way to China and back. Please also extend a thought to all who were part of this at the start but are no longer with us. 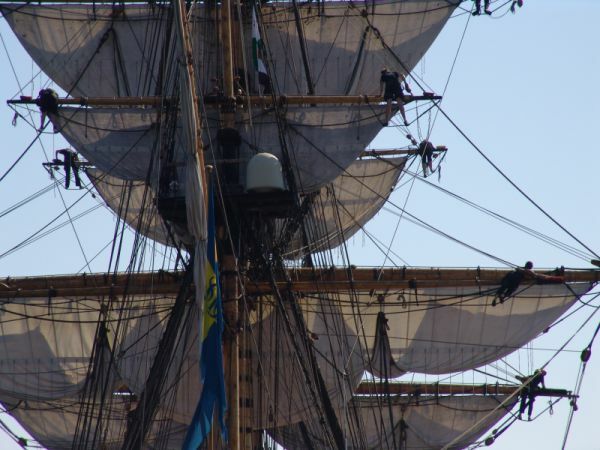 They knew it might take too long time for them to see her coming back, and maybe even to become launched or even carry sail on open water, but who gave this dream all support they could anyway. I think you somehow are still around to see this. That is the true greatness without which this project would never have been possible. Original co-founder and initiator of this project.